This light and refreshing vodka cocktail is easy to make, but the results are stunning. 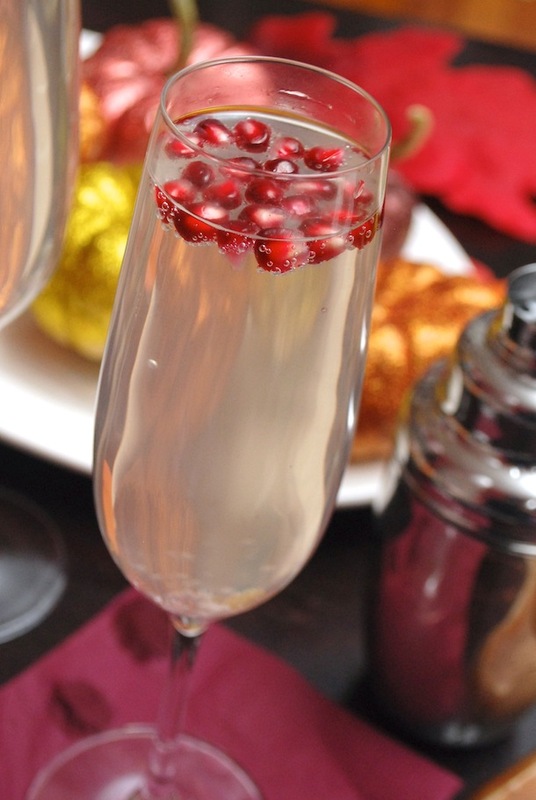 The bubbles in the seltzer cause the pomegranate arils to dance around in the glass as you sip it--perfectly festive for the upcoming holiday season. If you're entertaining a crowd, I suggest that you mix up the vodka, simple syrup, and lemon juice first (multiply the recipe below by the amount of guests you'll be serving), then divide into glasses and top off with the seltzer and pomegranate arils just as your guests arrive. In a shaker, combine Smirnoff Pear vodka, simple syrup, and lemon juice. Add ice and shake until shaker is frosted on outside. Strain evenly into two champagne flutes and top off with seltzer water. 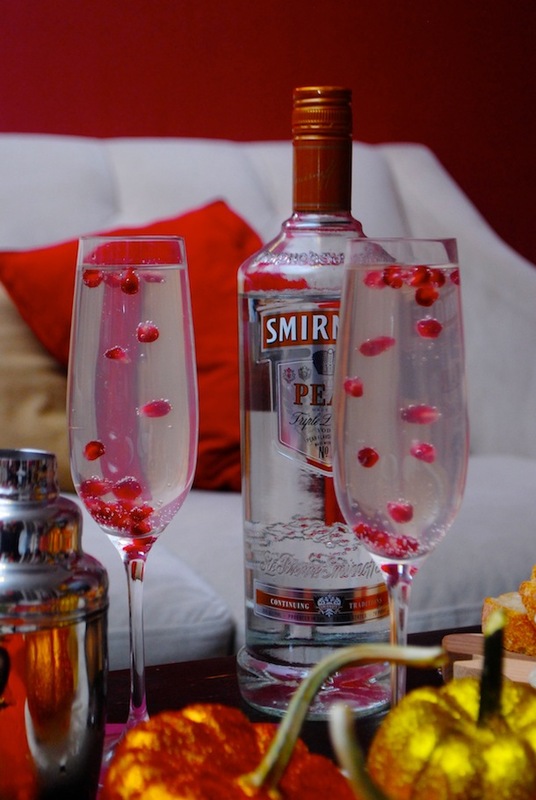 Add a teaspoon of pomegranate arils to each glass, and serve immediately.